To buy, go to our shop. Bass played by Steve Kightley. Mastered by Ray Staff at Air Studios London. 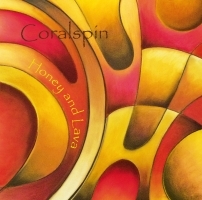 All lyrics are copyright Coralspin 2012. They cannot be re-used without permission. You must all choose the giant. What we do with our lives. Who could tell, who could tell? Sons of the sleeping one. Could we have been made for life? All the while you are looking out.